This is a yearly trip over MLK weekend organized by Jeff Giesen on TheSamba.com. 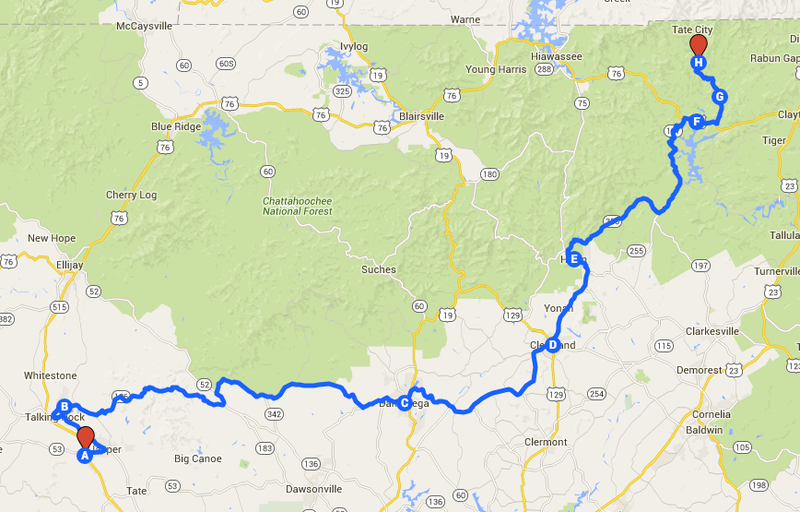 The route is not finalized yet but will definitely feature great scenery as we travel through the mountains of GA/NC/TN. This is a great opportunity to get your bus out and start the year off right with a relaxing road trip and primitive camping. The starting point is Vintage VW, Inc. in Jasper, GA on Saturday, January 16th. The shop will be open starting at 8:00 and we will pull away for the mountains at 9:00 AM sharp. Drive time will be about 4-6 hours Saturday and Sunday, and we will travel along state routes, country roads and some easy forest service roads. Primitive camping Saturday and Sunday night, so plan on bringing plenty of ice, propane, groceries, and anything else you may need. No need for firewood as we will cut up some downed trees in the area. Depending on weather, alternate routes are planned so be prepared to pay for camping if necessary. Leave Vintage VW, east on 53 to old Hwy 5. North on 5 through Jasper then east on 136. 136 to 52 then right by Amicolola State Park then 9 to Dahlonega, then back on 52 to 115 & 75 to Cleveland. Then up 75 to Helen, to 356 and on to 197 to Lake Burton and Hwy 76. Short ride east on 76, cross Lake Burton then left on Persimmon Rd. We will drive Persimmon to Forest Service 70 and into the Tallulah River Basin/Sothern Nantahala National Forest through the river gorge. There will be three campgrounds to choose from within three miles, so whichever is most desirable, then there we will spend Saturday night.